SPONSORED BY: Blue Cat Audio - 10% off all products! Blue Cat Audio plugins can be connected with each other for unique interactive sidechain capabilities and offer a customizable user interface thanks to their skinning language. Many free tutorials are available on their website for various host applications. In this issue, you'll find new articles (Reason Combinator, Reason Subtractor, Interview with Peo Drangert, Principles of Sound Design), new downloads (BeatBurner, MultiInspectorFree, ReaPlugs, NI Kore Player), new announcements (The Trumpet, Music Theory, Fusion Beats, Reason 4 Ignite), new discussions (NI Bandstand, Band Management Software, What Daws Are You Using? ), new reviews (EastWest PLAY and EastWest Gypsy). And you could win a free product from Toontrack! 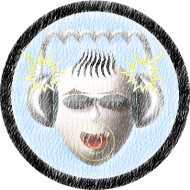 The DigiFreq Blog covers new additions to DigiFreq on a daily basis. Plus, you'll soon find me there blogging about various topics including things that are going on in my personal studio. To keep up with new entries on the blog, you can check the Home page on a daily basis or you can use the RSS feed. Then at the top of the page, use the feature that is shown to subscribe to the feed. That way, your browser will automatically keep track of the feed for you. In Firefox, you can find the new feed by using the Bookmarks > Bookmarks Tool Folder menu. In Internet Explorer, choose View > Explorer Bar > Feeds to display a list of your subscribed feeds. In previous issues, I gave a special thanks to all those who have posted nice reviews about my books over at Amazon. The great reviews keep coming in, so additional thanks go to: Thomas J. Sabino and Frank S. Kish. I also want to thank my overseas readers who have posted reviews at AmazonUK... thanks go to: G. Jackson, Skyline UK, and N. J. Matthews. "Easy listening, smooth romantic music. For those times when you are alone or with that 'special someone' and those quiet moments of relaxation." Course Technology Publishes Reason 4 Ignite! DFreqDISCUSS - Bandstand, Band Management, Edirol VSC, What Daw(s)? Native Instruments Bandstand GM Synth? What Daw(s) Are You Using? Great Acoustic Guitar Synth Sounds? Congratulations to Gary S, Ross P, and Paul M for winning the SoundTech LightSnake contest! (Winners are notified by e-mail). For the current contest, DigiFreq and Toontrack are giving away some free copies of the EZdrummer virtual drum instrument software! Two lucky winners will each walk away with a copy of Toontrack EZdrummer. Details can be found on the DigiFreq Contest page.